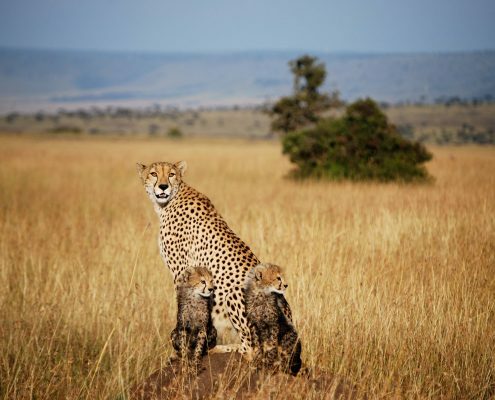 Kenya is one of the most popular safari destinations that we visit and the jewel in its crown must be the incredible Masai Mara, home to the iconic wildebeest migration as well as some of the best year round wildlife density in Africa. 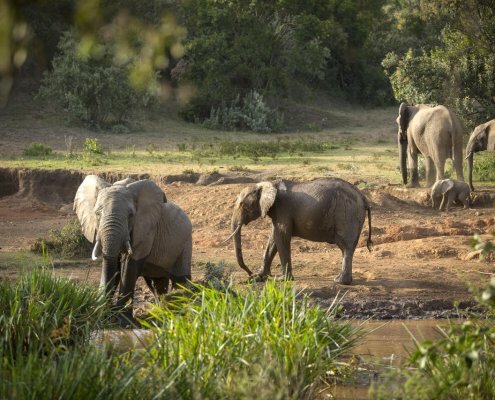 The game viewing here is simply fantastic but it is vital to pick the right property, get it right and it is possible to have one of the best traditional safari experience’s available, however, get it wrong and you could end up in a crowded vehicle in a crowded area with poor guiding…All this is why you come to us and let us use our years of knowledge and experience to make sure that you stay in the right area, in the right property at the right time of year all tailor to your needs and goals. This blog is by no means a comprehensive list of the properties that we work with but it does highlight some of the best properties, in some of the most wonderful locations in order to give you some inspiration for your next unforgettable safari. To talk about your perfect tailor made Kenya safari call us today on 01747 445060 or send us an email. This wonderful camp is great for anyone that is looking for an authentic, classy and intimate safari experience, however, the fact that they offer a private vehicle and guide to every guest makes this PERFECT for keen photographers. Having your own guide and vehicle opens up the possibility of siting with a subject for as long as you wish in order to get the right light and angle or moving on if you have specific interests such as birds, big cats, elephants etc. This is a great little camp, it is a very classical tented camp aimed and giving you that out of Africa experience. It is in a fantastic location on the banks of the Talek River in the heart of the Masai Mara. The camp sits in an area that is directly in the path of the wildebeest migration and home to some fantastic river crossing sights, it is also home to some great year round game viewing and in our view is a pretty special place to visit year round. Taking your family on safari is one of the most rewarding and exciting experiences that you can do together. In a society where we have little time and too much technological stimulation there is something about getting away with the ones you love and seeing this incredible continent that seems to make it even more magical. My favourite family property comes in the form of three separate “Bush Houses” where each has its own guide and its own chef and the schedule is tailored daily to your requirements, this makes it absolutely perfect for those travelling with children from a young age all the way to grown up or multigenerational groups. In our view one of the most beautiful safari camps in Africa, luxurious yet still authentic and giving you the feeling of being in the wilderness. 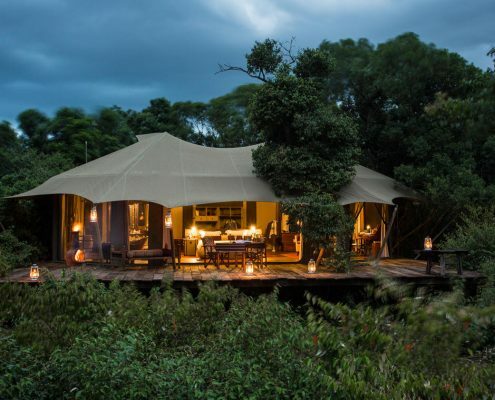 This stunning camp is also run by a company that holds conservation and wildlife matters at the core of its ethos which only ads to its appeal. If you are looking for a luxurious, exclusive and charming then look no further. With the highest standards of guiding and excellent cuisine and wine you really cannot get much better than Mara Plains. This camp is a great little property in a quite corner of the National Reserve, I first visited Jose at Enkewa when the camp was still quite young back in 2013, and even then he was getting the most amazing feedback. One of the things that makes this camp so charming is how great the staff are and how obvious it is that they all love what they do and doing it for Jose. There is something special about a simple camp that is owner run, especially when it is clear how passionate they are about their camp and the wildlife around them. I have been sending people to Enkewa for the last 5 years and it always provides my clients with a fantastic experience. 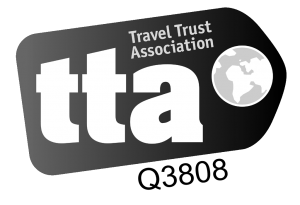 To talk about your perfect tailor made Kenya holiday call us today on 01747 445060 or send us an email.